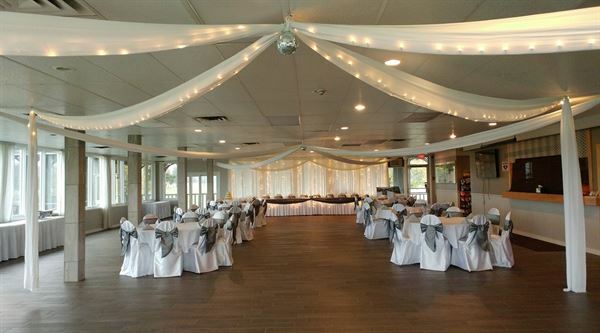 Welcome to the Moncton Golf and Country Club and thank you for the opportunity to host your special event. Our goal is to exceed your expectations. At MG&CC we create delicious elegant food, inspired by the season. We believe well balanced menus and elegant presentation all combine to make the cuisine at your event spectacular. Our executive chef takes great pride in working to create food that is beautiful, refined and above all delicious. We will create menus to accommodate all guests as well as providing a vast array of culinary choices. We will also strive to satisfy any special menu requirements including vegetarian, vegan, gluten-free, special dietary needs, food sensitivities and allergies. A full service venue, our professional staff can set up your room, provide the seating arrangements and perform all other functional duties associated with hosting your event. You can choose to do your own decorating, have our team provide the service or you may solicit an outside company to do so. WE ARE HERE TO HELP! Our advertised menu selections are merely a guide to accommodating your menu plan and your budget. Please contact us for our complete terms & conditions. Our Members Private Lounge is nicely appointed and well equipped to host up to 60 guests and is very functional for small events, office outings, meetings and private functions. The Lounge includes a bar, dance floor, screened in patio and an open patio for your convenience. Each room provides an excellent source of natural light with numerous windows and views available. Our Main Dining Room can accommodate up to 200 guests or delegates. The Main Dining Room includes a bar, dance floor, screened in upper deck and an open lower deck.